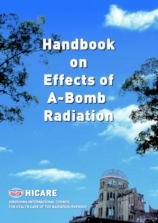 This practical handbook is written to utilize the research of the health disorders of A-Bomb survivors in Hiroshima and Nagasaki for the medical care for the radiation-exposed in the world. 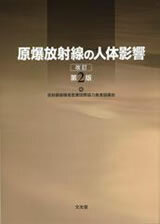 Completely revised the first edition "Effects of A-Bomb Radiation on the Human Body" incorporating the recent research results and findings. 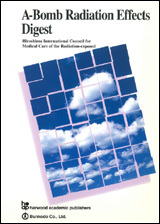 This practical handbook is written to utilize the research of the health disorders of A-Bomb survivors in Hiroshima and Nagasaki for the medical care for the radiation -exposed in the world. 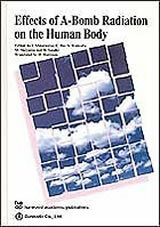 This book is available in bookstores dealing with medical books or the publisher. A4 size, 369 pages, Bunkodo Co., Ltd. 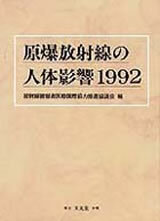 This medical handbook, which may be described as a white paper on medical care of A-bomb survivors, is making contributions to the medical care of exposed individuals in the world and to international cooperation. An English version was also published.